Michael P. Grossman, CFP®, is President of AdviceOne LLC and AdviceOne Advisory Services LLC. He graduated from UConn in 1989 with a degree in Business Administration. In 1990, he began his career in wealth management, earning his Certified Financial Planner designation in 1994. He works extensively with UTC executives, specializing in Retirement Package Evaluation as well as Retirement and Estate Planning. Michael has presented hundreds of Retirement Empowerment workshops throughout the United States and is well-known in financial circles for his captivating and enlightening seminars. He resides in Glastonbury with his wife Katie. They have two daughters, Olivia and Madeleine. Since its creation in 1999, Michael has transformed AdviceOne from an advisor-led practice into an extraordinary team-managed organization of professionals who are obsessed with delivering an exceptional experience to their family of clients. “I joined AdviceOne because of its commitment to excellence. I truly believe that in today’s world customer service is a forgotten art. Not here. We will do whatever it takes to service our clients to the best of our abilities. It goes well beyond implementing Wealth Management strategies and concepts for our clients. At our company, it is all about maintaining the fiduciary standard. We believe in putting our clients' interests above and beyond anything else.We create life-long relationships. To me it’s all about trust, the highest level of integrity, and always doing right by our clients." Carlos began his career in the securities industry in 2004 working as an Account Executive. His work in that area quickly earned him a move to Asset Retention. His main focus was high net-worth clients. He also resolved client issues and realized he could provide a better opportunity for these clients in an advisory capacity. He has followed this passion of his ever since. He proudly serves as an Investment Advisor Representative of AdviceOne Advisory Services, LLC, where he specializes in proper allocation of 401(k) savings plans and works extensively with employees and retirees of UTC. 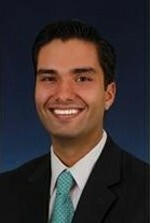 Carlos earned his Bachelor of Arts degree from the University of Connecticut. He has earned his CFP® designation and is an active member of the Financial Planning Association. Carlos and his wife, Kristin, reside in South Windsor with their two children, Carson and Kileigh, and two dogs Frankie and Dino. He is a former UConn broadcaster for campus radio on WHUS and is obsessed with the UConn Athletics. When not at work, Carlos loves spending time with his family and enjoys outdoor activities such as playing soccer, fishing, running, and swimming. Tim began his career at AdviceOne in 2010 as an Associate Wealth Manager, before receiving his CFP® designation in 2013. He graduated from Virginia Tech with a B.S. in Business/Finance with a focus in Financial Planning. While at Virginia Tech, he was a 4-year member of the Varsity Wrestling Team and he remains a dedicated Hokie sports fan. Tim married his college sweetheart, Kelly, in 2015. In his free time you will find him outdoors hiking, gardening, caring for his hive of honeybees or back on the wrestling mats volunteering with youth wrestling programs. “I have been asked many times why I made the decision to join AdviceOne. The staff at AdviceOne is tremendous - effectively a planning team. Also, the experience, skills and backgrounds of the advisors are remarkable. The systems that we have in place are seamless and I am still amazed at their complexity and capability. The focus here is on the development of the advisors, planning team and systems enabling us to more effectively assist our clients." Chuck Johnson began his financial services career in 1989 at American Express Financial Advisors (AEFA). In 1993 he earned the designation Certified Financial Planner (CFP®). He is an Investment Advisor Representative of AdviceOne Advisory Services, LLC. He earned his Bachelor of Science degree in Mechanical Engineering from the University of Connecticut. The competitive spirit that enhances his investment selections process can also be seen in Chuck’s hobbies of racquetball, bridge, speed chess and poker. He is an avid fan of the NY Giants, NY Mets and UConn Huskies. A voracious reader, he is especially interested in books with a focus on investments, psychology and behavioral finance. Lorie Schappert began her career in financial services working as an Account Executive and Trainer for Citicorp. She has also worked for a mortgage broker, as Head of Processingand as a Loan Originator. She began at AdviceOne in 2001 and has gone through extensive training in every department in the company, and held the position of Director of Wealth Management prior to being promoted to Assistant Vice President. She sees clients in both the North Haven and the Glastonbury offices. She enjoys working with clients who have family members with special needs, and also works extensively with employees and retirees of UTC. Lorie graduated from Central Connecticut State University with a B.A. in Finance. She married her high school sweetheart, Bill. They reside in Hebron and have two sons. In her free time, she enjoys outside activities and being with her family. Neil Goldberg began his financial services career in 1986 at The Phoenix Equity Planning Corporation and Aetna Retirement Services. He worked in the investment, retirement and offshore funds areas for 14 years helping clients evaluate retirement plans and investment alternatives. Three of those years were spent traveling extensively in Latin America educating other Wealth Managers on investment products and concepts. Today, Neil specializes in helping his clients plan for and transition into retirement. He works extensively with employees and retirees of UTC, as well as many other area companies. In addition, Neil works as part of the Investment Selection Team at AdviceOne. Neil graduated from the University of Connecticut with a B.A. in Economics and from Rensselaer Polytechnic Institute with a Masters degree in business. In addition, he earned the Chartered Financial and Chartered Life Underwriter professional designations from the American College in 1993. Neil and his wife, Lynn, have two children and reside in Colchester. "When I graduated from college in 2015, I wasn't sure which direction I wanted to go in with my career. I was fortunate enough to find AdviceOne, and very quickly learned what an amazing place it is to work. As soon as I saw the effort and passion that not only our advisors, but also our team members, put into the client experience, I was hooked. I found a role at AdviceOne that allowed me to combine my passion for great client experience with my knowledge in finance, and I hope to be able to share this passion and knowledge with my clients by showing them that I am here for them, whatever they need." 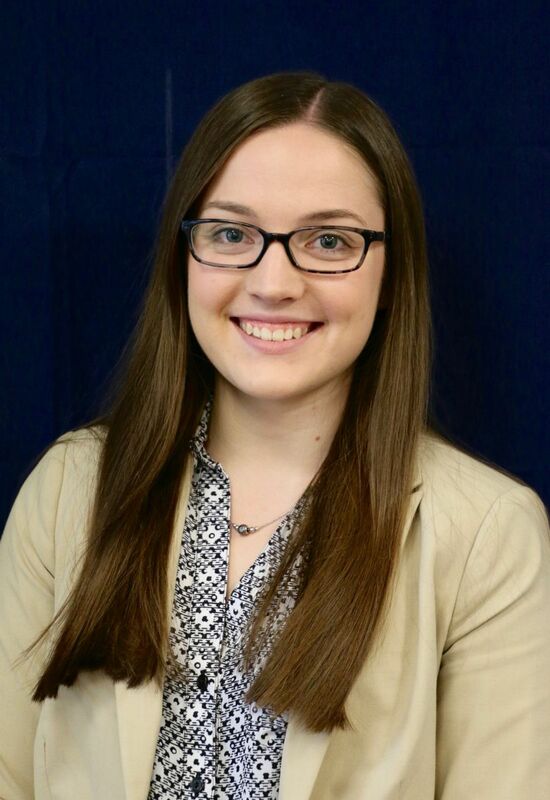 Bria began her career at AdviceOne in 2015 looking to be a member of the Wealth Management department, but quickly transitioned into the role of an Associate Wealth Manager due to her desire to be in client meetings, and to be a part of the personalized client experience we have at AdviceOne. She graduated from the University of Massachusetts, Amherst with a B.B.A. in Finance, with a concentration in Risk Management. Prior to working with AdviceOne, she worked at a popular ice cream stand with her mom and 2 sisters for seven years which created the drive she has for providing clients with the best experience possible. Bria loves to spend her free time outdoors - whether gardening, going on adventures with her dogs, or taking care of her chickens - and has a dream of running a farm big enough that she can live entirely off of her own land. “It was very important for me to work in only the most ethical company. AdviceOne takes the meaning of service to a whole new level. We care deeply about our clients and their families; all of the decisions made here are in the best interests of our clients. I could not promote AdviceOne’s services so enthusiastically if I did not truly believe that by working with AdviceOne their lives would be impacted in the most positive way." Kathleen started her career in financial services in 1995 at The Travelers developing a division to educate its employees nationwide about Long Term Care Insurance and the risks of long term care. In the spirit of start-up operations she went on to become a part of the launch of The Hartford Insurance Company’s FIBC, a group offering commercial insurance through affinity groups across the country. In 1998 she became the national sales trainer for a nationwide agency specializing in long term care, home health care and assisted living insurance plans. 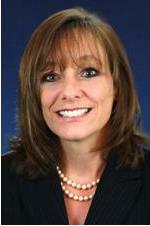 Kathleen joined AdviceOne LLC in 2001 as a member of the Concierge Team. Kathleen earned her B.A. in Mathematics with a concentration in Statistics from Keene State College in Keene, N.H. She currently resides in Glastonbury with her husband, Joe, and three beautiful daughters: Peyton, Jordan and Sophia. She spends most of her free time with her family. Bill has been in financial services for over 40 years. 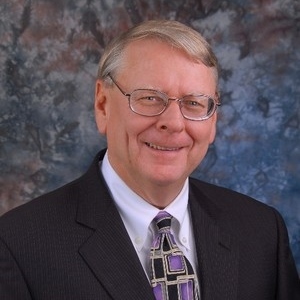 He provides individual planning, as well as financial planning through "Money 101" and "Asset Preservation" workshops. In addition to CLU® and ChFC® designations, he has his B.S. in Education from Miami University in Ohio and a Masters Degree from Malone University, where he wrote his graduation paper on financial planning for professional clergy. Bill is also an author and frequent industry speaker, having held offices in many professional organizations. Bill lives in Akron with his wife, Lynn. He has five children and six grandchildren.